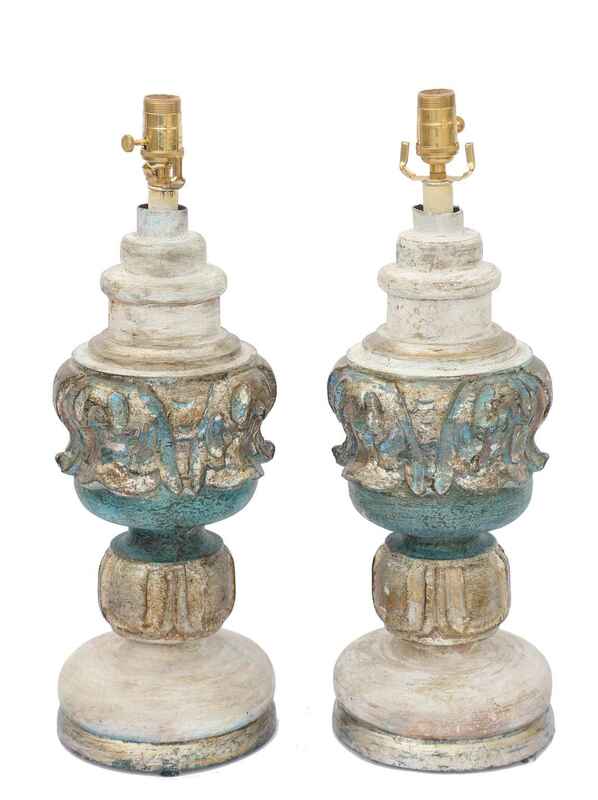 Pair of table lamps, painted and parcel gilt, each urn-form body decorated with classical out-carving, raised on tiered round foot. CONDITION: Excellent, but distressed, antique condition with desirable natural wear to finish. Rewired. Pair of table lamps, painted and parcel gilt, each urn-form body decorated with classical out-carving, raised on tiered round foot. CONDITION: Excellent, but distressed, antique condition with desirable natural wear to finish. Rewired.